The material used in building the body of this special guitar is the 40,000 year-old ecologically friendly Ancient Kauri wood, which was imported from New Zealand, by a company in Minnesota, U.S.A. called Ancientwood Ltd. 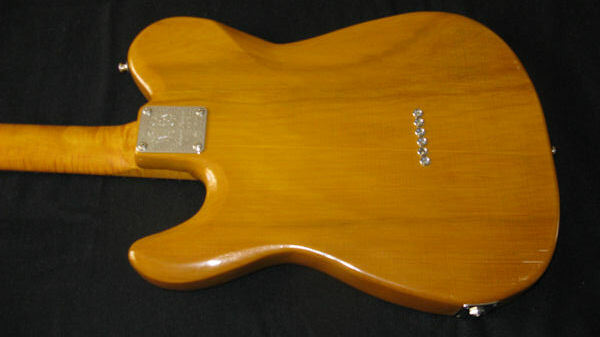 This special piece of wood came with a Certificate of Authenticity and delivers superior tone and sustain. 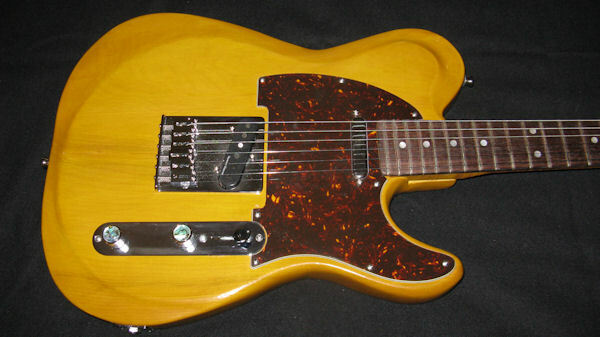 I carefully considered the style of instrument I should build from this wood as well as the pickups I should choose. The end result - wow! I was completely blown away. Ancient Kauri wood body beautifully hand-carved throughout. Satin-finished bolt-on flamed maple neck, built for speed, has rosewood fret board with pearl dot inlays and 12-inch radius for a low action. Neck attachment plate engraved with WRJ Custom Guitars logo, displays the model name of the guitar and adds a professional touch. 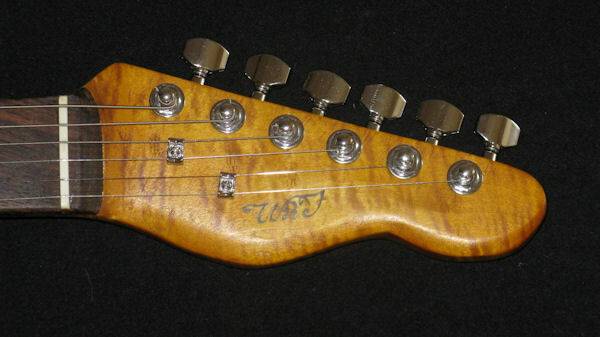 Two-way adjustable 'Hot Rod' truss rod for maximum neck stability. 22 highest quality 18% nickel-silver medium/medium frets. Seymour Duncan STR-1 neck pickup; Seymour Duncan/Jerry Donahue APTL-3JD bridge pickup, deliver "killer" sound and sustain. Master volume control, master tone control and 3-way pickup selector switch. Brown tortoise shell pick guard, chrome control plate and chrome control knobs with abalone top. Pickup cavities, control cavity and underside of the pick guard thoroughly shielded with conductive copper tape to reduce noise, hum and radio interferance. 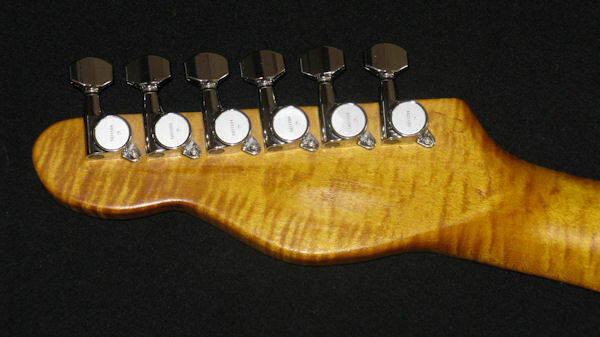 Gotoh chrome-plated, solid brass bridge has 6 individual, fully adjustable brass saddles. Gotoh sealed tuning machine heads, with 16:1 gear ratio. Body stained in transparent, rare vintage amber. Finished with non-toxic, environmentally friendly ColorTone Waterbase High Gloss Professional Guitar Laquer.